Ever since Volvo of Edmonton first opened its doors, we have worked with passion, pride, and dedication to offer our clients great service as well as the very best products to maintain their Volvo’s pristine condition. If you’re a Volvo owner in Edmonton or elsewhere in Alberta, you can trust Volvo of Edmonton for your vehicle’s maintenance as well as for all of your genuine Volvo parts and accessory needs. At Volvo of Edmonton, you are the priority. At Volvo of Edmonton, we have the perfect vehicle for you and your needs. We will take the time to work with you and make sure you get the best service and attention to detail that you deserve. 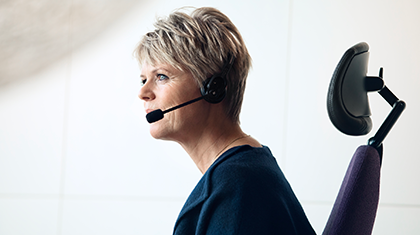 Stop by today and speak with our experts. 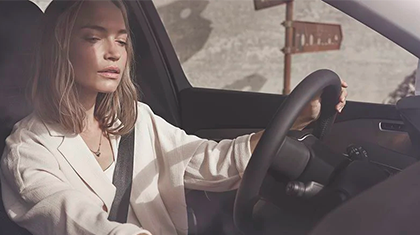 They will present you with the entire lineup of new Volvo vehicles, work with you to determine which model is right for you and your family, and find the most affordable and competitive financing plan to complete your purchase. Visit us today and discover our wide inventory of brand new Volvo models in stock, including the new Volvo XC90 and urban XC40. We also have a wide range of redesigned Volvo XC60 models in stock as well as a complete collection of new Volvo S60, S90, V60, and V90 models. Are you looking for a pre-owned vehicle? We can also help you with our collection of certified pre-owned Volvo vehicles. From the complete pre-sale inspection to our generous vehicle warranties, you will find the perfect pre-owned vehicle for you at Volvo of Edmonton. Our certified pre-owned vehicles will never let you down. At Volvo of Edmonton, you will find a familial atmosphere where all of our clients are treated with the care they deserve. We work hard to surpass your expectations at every visit. Once you become a Volvo owner, you will receive the very best care at our after-sales departments. 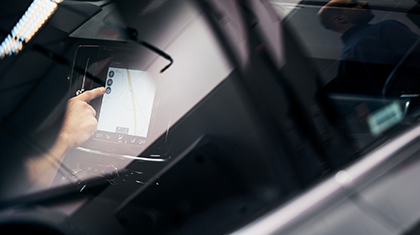 From maintenance to genuine parts and accessories that enhance your Volvo’s design, versatility, and performance, we have everything you need at Volvo of Edmonton. Book your appointment with our team of Volvo experts today. We are here for you, whatever your needs are. Discover what our satisfied customers have to say about their experience at Volvo of Edmonton. Meet the people who are dedicated to providing a five-star experience at Volvo of Edmonton. Interested in joining an exceptional team? Send in your resume and we'll be in touch!